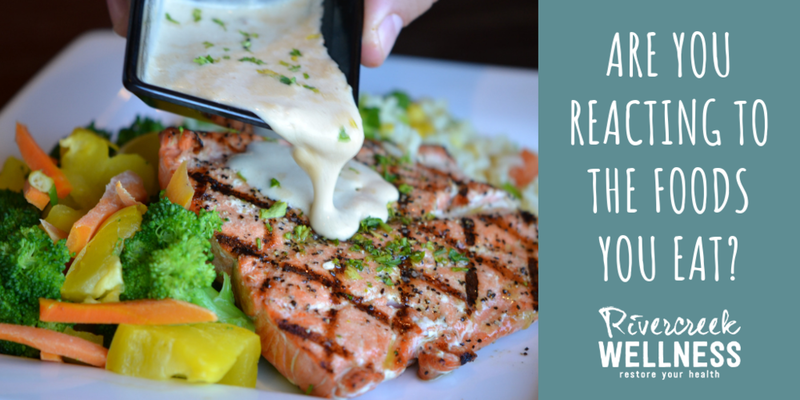 Do you have a Food Sensitivity? Isn’t it time you take the guesswork out of what you should and shouldn’t be eating? Food allergy and sensitivity testing can help you eliminate the foods that could be harming your body. Even healthy foods can be contributing to unhealthy reactions within the body. People often confuse food allergies and food sensitivities. Food allergies are often severe and can be life threatening. A true IgE food allergy creates an immediate immune reaction. Food sensitivities are usually less severe, however, they still create numerous health problems. A food sensitivity is often defined as a delayed IgG reaction. Some people report having symptoms up to 72 hours after they eat a specific food. Since reactions can be delayed for several days it makes it hard to differentiate which foods are aggravating you. We are highly selective on which food allergy and sensitivity test we offer to you. For the most part food sensitivity testing is not covered by your health insurance. You may be special and have an awesome health insurance, unfortunately it isn’t the norm. We have various testing kits for our patients. Alletess Is the most affordable testing option. Alletess offers 96 IgG and 184 IgG food sensitivities. It is a finger prick test that the patient is able to do at home. Cyrex Laboratory is highly regarded for their immune screens. They offer a Wheat/Gluten Array and Gluten Cross Reactivity Array. Cyrex offers Food Immune Reactivity Screens. If you have an autoimmune disease or want to determine your reactions to gluten, then this is the lab for you. Cyrex Testing can be expensive and requires testing gluten first, then gluten cross reactivity, and finally food reactions. They have 90 or 180 different foods/spices/food additives to test. Dunwoody Labs has set themselves apart from other labs by offering Complete Dietary Antigen testing. They take 88 Foods and compare IgE, IgG, IgG4, C3d for all foods. This gives more comprehensive information for your immune health. We blood test for the most common food allergies with True Health Diagnostics. Dunwoody does test for IgE responses to 88 foods as well. Again, this will test only for immediate IgE reactions. It may be necessary for us to refer you to an allergist for further testing. If you have an IgE food allergy then it is necessary to always carry Benadryl and an Epipen. What to Do When You Have A Food Sensitivity or Food Allergy? Food Sensitivity Testing confirms that gastrointestinal work is needed. Food Sensitivity Testing may not be 100% accurate when you have leaky gut. It is important to eliminate the bothersome foods while you are working on your GI health. Enzyme Science Intolerance Complex can help you while you are figuring out which foods to eliminate. Taking one capsule with meals may help if there is a possibility of cross contamination. Caution- this is not to be taken if there is a known diagnosis of an immediate allergy or celiacs disease. If needed there are more specialized testing for leaky gut, LPS, and Gluten Cross Reactivity. Often times you are able to add food sensitivities back into the diet if you were diligent with the treatment plan. True food allergies must be avoided from your diet. Children can sometimes outgrow their allergies. It is important to be careful in not cross contaminating your food. Always carry an epipen and antihistamine medications. Always work with your doctor. If you are in the greater Spokane area and want to know if foods are bothering you, then schedule your appointment now. Dr. Julie George enjoys helping patients restore their gut health. This is for your information and is not a substitute for medical advise from your doctor. If you have questions or comments concerning your own health please schedule an appointment with our office or with your physician. Have you tried numerous diets and weight loss products with little results? Or did you lose the weight only for it to return plus a few extra unwanted pounds? Losing weight is a challenge. Despite what you hear with calories in vs. calories out, that doesn’t work for everybody. Trust me, I am one of them. When was the last time you had laboratory work completed? It is important to check your standard blood levels, inflammatory markers, thyroid markers, and possible other immune markers. There are some more advanced labs that can also be beneficial. Thyroid levels are important to check on routine blood panels. If you are experiencing a under active thyroid then that can contribute to weight gain. We recommend a complete thyroid panel. If you are experiencing a lot of inflammation then you may need a gentler approach. In fact, doing difficult workouts could be getting in your way of losing weight. This is because of the stress hormone cortisol. For more advanced testing we can test your cortisol x4 to determine how your body is handling the stress hormone throughout the day. Routine blood work can test basic inflammatory markers. Having a food sensitivity can cause you unwanted weight gain and/or difficulty losing weight. Food sensitivities can do a lot of harm on the body including your gut. Gut health is very important to your overall health. Food sensitivities are usually not life long. There are several treatment options we use for repairing GI function and decreasing food sensitivities. We offer several different food sensitivity companies for testing options. You could be hanging on to unwanted pounds due to unbalanced hormones. We have the ability to test your hormone levels. We recommend salivary or urine hormone testing panels. Environmental toxin exposures can contribute to weight gain and/or a harder time to lose weight. Depending on your lifestyle and exposure risk then testing for phthalates, parabens, solvents, heavy metals, glyphosates, and others may be recommended. At Rivercreek Wellness we offer medical weight loss programs that are individualized to your specific goals. We recommend Far Infrared Sauna to help you burn extra calories. We only recommend physician quality supplements to you, and we’ve made it easy to purchase through our online store with a 10% discount. Are you ready to take control of your weight, then schedule your appointment now with Dr. Julie George. Summertime is the perfect time to travel near and far. Here in the Inland Northwest people tend to spend a lot of time at the lakes, going camping, and touring the Oregon Coast. In Spokane, we are so close to so many spectacular sites to see. There is so much fun and excitement putting a trip together, planning the itinerary and heading out with our packed bags. We often don't think about our "Got to Go" moments until it is too late. So many people get diarrhea and/or constipation while traveling. 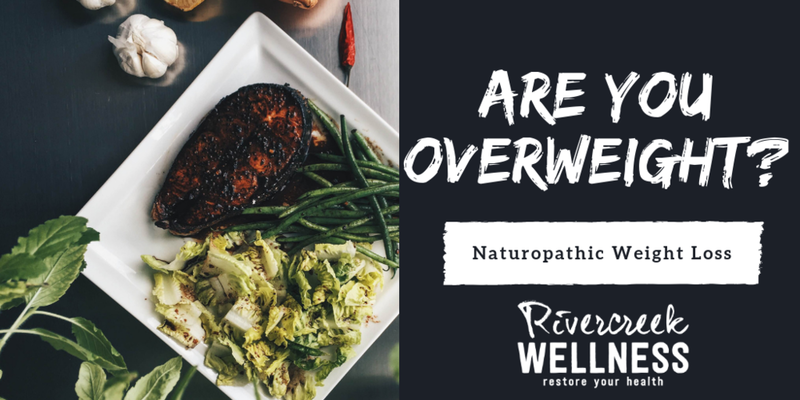 The causes vary but often are from nervousness, change in routine, climate changes, different diets, dehydration, overindulging and even pathogens. If you believe you have been infected with a pathogen or foodborne illness seek urgent care. Being prepared with some natural therapies while traveling can help you prevent and/or manage GI distress. Stay Hydrated - The average person requires 1/2 of their body weight in ounces of water each day (150lbs=75oz of water). Remember that activity, heat, dry climate and alcohol consumption requires more water. We like to take along Jigsaw Electrolytes Packets to help us replenish all of the electrolytes we lost to stay well hydrated. Eat Nutritiously - Check out some healthy restaurant cuisine on your trip. Always include veggies with each meal and a serving of fruit per day. Don't forget to add the salad. Roadtripping is no excuse to swing by the golden arches. Plan your meals and bring a cooler. Camping? No problem bring organic bagged greens or frozen veggies to add to your dishes. Fiber-rich foods are required. This is not the time to overindulge in heavy foods. Traveling does not give you permission to eat gluten or your other food sensitivities. You will thank yourself for staying on your plan. Movement - Find activities to keep you active. Even if you are road tripping to your destination stop and walk around the car, find something to see along the way, and park at the furthest pump. Just MOVE! Relaxation - We often fill our itineraries with all of the sightseeing, visiting, shopping, etc that we forget that its a vacation and we should relax. Take some time for yourself and breathe. We must get quality sleep so enjoy that hotel room you paid for. Enzyme Science Critical Digestion - 95 million Americans report GI distress. When traveling we do not want gas, bloating, abdominal pain, food intolerances, constipation and diarrhea getting in the way of our plans. We often do not know what is in the foods when we are eating at a restaurant. Thus I recommend enzymes with each meal to help break down the fats, carbohydrates, and proteins. Jigsaw MagSRT - Magnesium is often deficient in the population. Magnesium helps with constipation. I like to travel with MagSRT because of the time release technology. Homeopathic Nux Vomica - If you couldn't resist and overindulge on eating and drinking at dinner, then try homeopathy. It is small enough to carry in your pocket. Do not take with coffee or mint. Homeopathy is best taken away from food and drinks. Ginger Tea - If you tend to feel nauseous or queasy try sipping on some hot ginger tea. Easy to pack a few tea bags. For your convenience, you can order supplements through our online store --10% off all orders. All orders are direct from company to Fullscript warehouse where they are properly stored and shipped directly to you. It is very important to have regular bowel movements each day. If you do not have regular bowel movements then we encourage you to schedule an appointment. We can test you for Leaky Gut and Food Sensitivities and design unique treatment plans. GI health is important to your overall well-being, immune system, mood, and ability to detoxify. Disclaimer: This is for informational purposes. We are not diagnosing or treating your medical condition. If you have medical concerns please contact your primary care physician.